For hundreds of years now, scientists at the Weyland-Yutani Corporation have been monitoring the behavior of an alien life-form so powerful that its potential for military application appears limitless. Although all attempts to harness the beast’s abilities have ended in appalling bloodshed, the acquisition of the Xenomorph remains a priority. As such, Weyland-Yutani has granted you access to their detailed files on the alien in the hope that you will be able to help capture and subjugate one of these fascinating yet deadly creatures.Alien: The Weyland-Yutani Report is the first item to be produced in the thr! illing new collaboration between Sideshow Collectibles and Insight Editions. 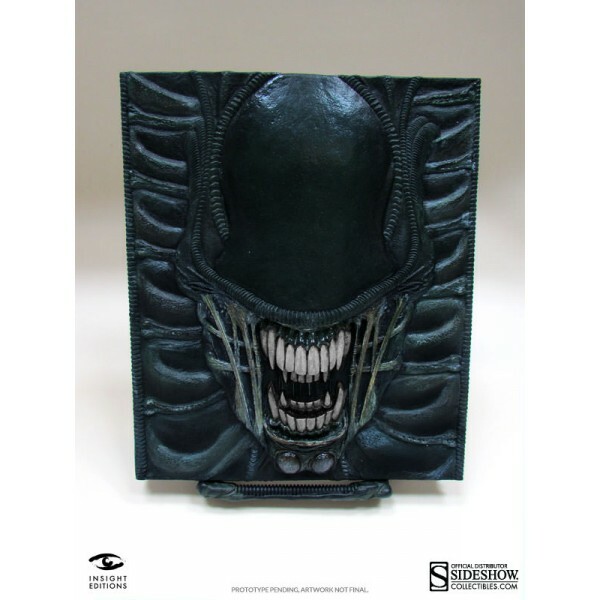 Featuring a striking sculpted cover that captures the ferocious power of the Xenomorph, the book is designed to look as if it has been wrapped in the skin of the iconic creature. 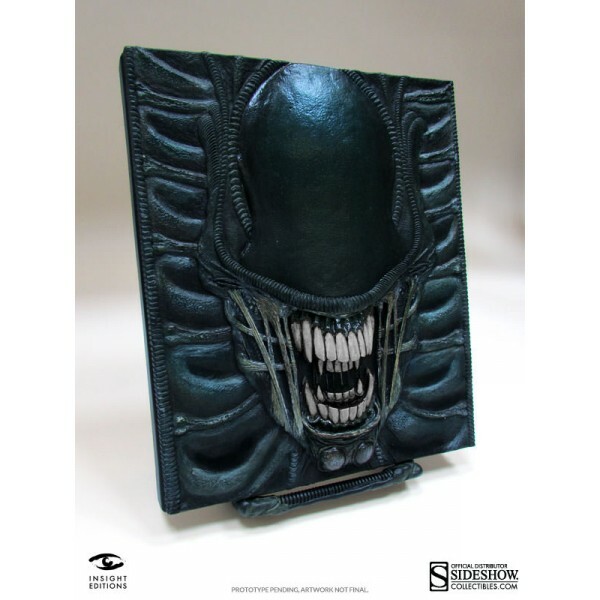 This cover sculpt is the first of its kind and unique to this exclusive edition of the book.The interior of the book utilizes specially commissioned illustrations and thirty-five years of Alien movie concept art and film stills to create a deeply engrossing reading experience that explores the nature of the Xenomorph in unparalleled detail. Alien: The Weyland-Yutani Report also contains extensive information on the characters, locations, vehicles, and weapons from the movies, along with an in-depth breakdown of the Xenomorph’s life cycle.Covering all aspects of this hugely popular franchise’s thirty-five-year history, Alien: The Weyland-Yutani Report – Collectors' Edition is the ultimate book for fans, delivered in a forma! t that collectors will love. Manufactured by: Insight CollectiblesAliens TM & (c) 2014 Twentieth Century Fox Film Corporation. All Rights Reserved.